Justice League, following a very difficult production process, finally arrives in theaters next week. 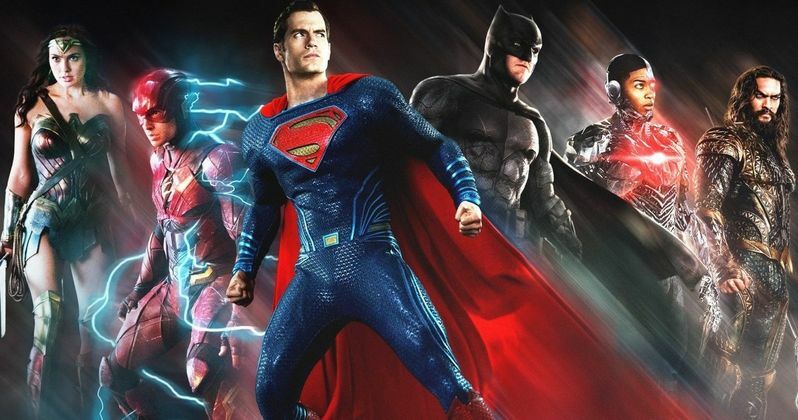 Fans have been dying to know if this is the DC movie they've been hoping to see and the first reactions to the movie are in! That comes with good news and bad news. The good news? Zack Snyder and Joss Whedon nailed the characters. The Bad news? There's a lot of messy CGI, rushed story and things of that nature. That said, there seems to be a lot more good than bad in Justice League. Here's what Heroic Hollywood's Nate Brail has to say about it. "Justice League is the DC team up you've been waiting for. I had so much fun from beginning to end. The expansion of DC mythology will make fans go nuts. Superman though! Justice League does have its flaws, but the fun negated most of that for me. The cast was amazing. Favorite characters were Flash and Aquaman. The final post credits scene will make you scream!" Obviously, nobody wants to get into spoilers here, but apparently Superman doesn't disappoint. It seems like the vast majority of reactions praise Justice League for being fun above all else, which is something sorely missing from Batman V. Superman: Dawn of Justice. Germain Lussier of io9 has one of the more negative reactions to the movie so far, but even he says the movie is okay and the heroes are great, praising the character work. "Justice League! It's okay. Narratively it's a mess, the stakes don't work & the villain isn't great. However, the heroes are great, it's funny, & there's some surprisingly effective character work. I didn't love it, but there are enough good pieces to excite me for the future." Following Batman V. Superman: Dawn of Justice and Suicide Squad, many critics had no excitement for the future of the DCEU. So hearing that these characters are making people want to see more is a very good sign, despite the flaws that apparently exist in Justice League. Despite those flaws, Screenrant's Rob Keyes calls Justice League his favorite DCEU movie. "The good: #JusticeLeague is my favorite DCEU movie. It will make you love its heroes and want to see them team-up again. The bad: #JusticeLeague rushes through a lot and its main story/lore and villain are rather stripped down and forgettable. The future: #JusticeLeague feels like a new start to the age of heroes and succeeds as a launch platform in that, even though some of its newer characters very much would have benefited from origin stories beforehand." Taking that all in, it sounds like Justice League is at least a good movie. It may not be the game changer that some were hoping it would be, but DC continues to make improvements and it sounds like we have a lot of characters we're going to want more of in the future. Be sure to check out all of the Twitter reactions to Justice League for yourself below. Justice League does have its flaws, but the fun negated most of that for me. The cast was amazing. Favorite characters were Flash and Aquaman. The final post credits scene will make you scream! I think if you are going to a #JusticeLeague movie to see all your favorite DC heroes rocking their skills & being the badasses you love, then you will get plenty of that. Lots of action. Lots of superheroes being superheroes.